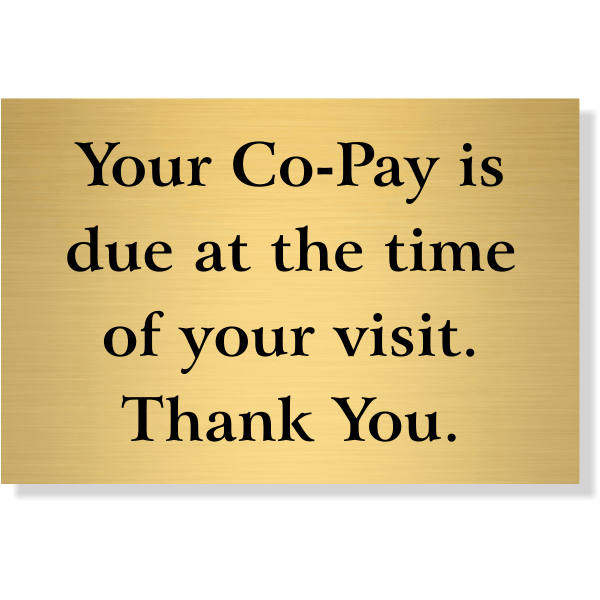 ADA Sign Horizontal 8" x 16"
Collect payment up front and let patients know in a friendly way with our Co-Pay is due at time of Visit Engraved Sign. Multiple text and background color combination options are available, as well as a wide variety of mounting choices. Order your engraved sign today and make sure you receive your payments!